Tap 9 oclock to scroll through 4 step darkness filter. Tap temperature to get updated weather. 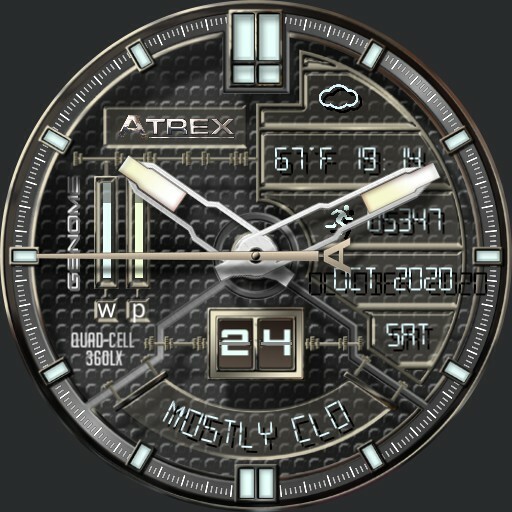 Shows steps, date, day, month and year, temperature, location, current conditions and last weather update, watch phone battery level.